Jessica was on the phone with her family back in the States. After a number of bad connections, the last one finally frustrated her enough that she decided to introduce her iPhone 4S to the wall. The damage you can evidently see in the picture at right. Her iPhone screen had clearly shattered and she was now looking at somewhat of a distorted screen. Not happy at all, she decided looking around for places to service her broken iPhone screen in Abu Dhabi. Within minutes she found several places that were able to repair the screen, but many of them were located in Dubai or were businesses that she just didn’t feel comfortable with. During those searches, she found us and filled out one of our repair forms. We called her back shortly after and told her we could meet her in Khalidiya Palace, where she is staying, and fixed the broken screen right in front of her. About 45 minutes later we had her iPhone looking like new again. Did you just cracked your iPad screen on the tile floor at home? Did you just get out of your car and your iPhone jumped out of your pocket and went shattered on the cement ground? 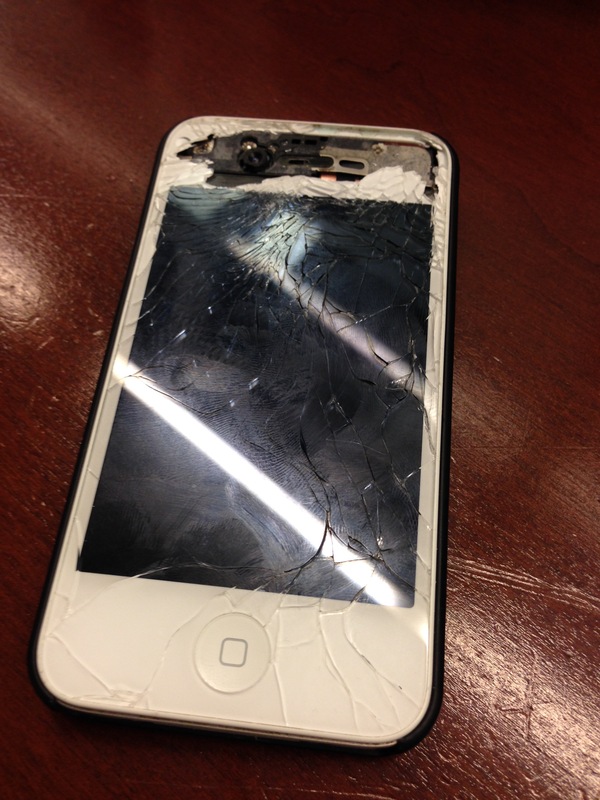 Have you been carrying around an iPhone with a broken screen for quite some time? Well, that’s where we step in. We’ve been fixing and replacing broken, cracked, shattered, smashed iPhone, iPad, iPod and Mac screens in the UAE for years. Most of our repairs are done in our customer’s homes. Other times we meet our customers at offices or coffee shops. Repairs take less than an hour and we’ll do it right on the spot. If you’re in Abu Dhabi, Dubai or Al Ain and have experienced a cracked screen on one of your Apple devices, give us a call or fill out one of our repair forms. We’ll contact you shortly and work to get your cracked screen replaced as soon as possible. Give us a call today! 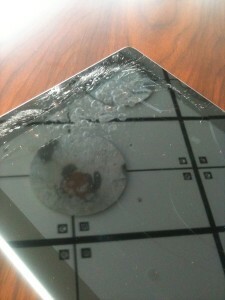 I Need to Fix Broken iPad Screen in Abu Dhabi! 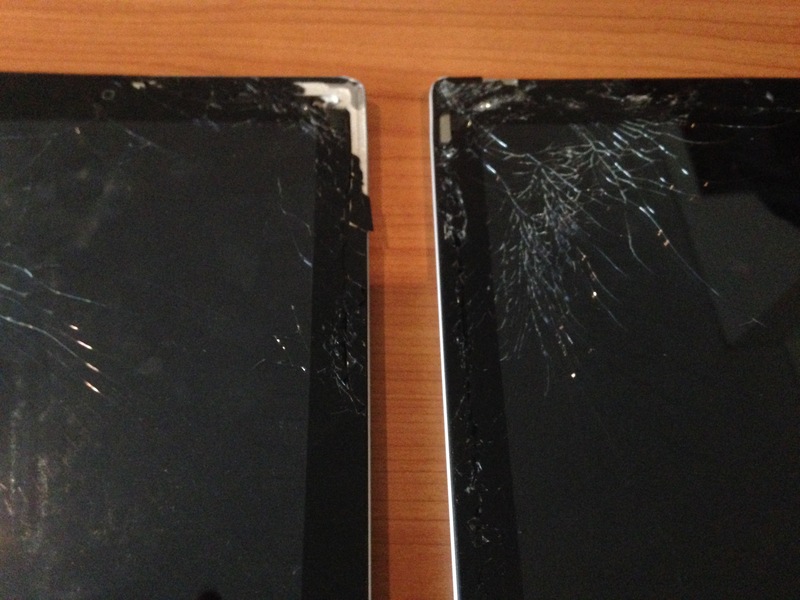 Sherry called us today, saddened by the fact that she had dropped her iPad 4 on the floor smashing the glass screen. She was now looking for a repair service in the UAE or Dubai or Abu Dhabi who could fix broken iPad screen. The second she dropped it she knew the glass had cracked and the screen would be an ugly sight. When she picked it up the glass screen on her iPad was clearly damaged and now needed to be replaced. Wow! This was a first. She had read about in the paper and even spoken to a few friends who had the same thing happen to them. Apparently she discovered, it has happened to millions of people all over the world. As fate would have it, this was her time to have to deal with finding someone to fix broken iPad screen. What is the procedure for finding a company that repairs broken iPad and iPhone screens? Is there anyone that does them close to where she lives? She lucked out when searching online for a service to fix broken iPad screen. She called us shortly after and we arranged a time to meet her at her home in Khalifa City in Abu Dhabi. The screen was damaged in the upper right hand corner. Everything was still working properly. It was just an hideous sight to see as there was broken glass all over the table. She continued using her cracked iPad and was starting to worry about the glass cutting her hands and getting on the floor. She was happy to see one of our Apple repair technician arrive on time with replacement parts and tools needed to replace the broken iPad screen. An hour later her broken iPad screen was fixed and back to normal and looking like new again.